All teachers have those days when we think the cashier’s position at any store is looking pretty good. But then just when we’re about to lose our minds, a student does or says something that reminds us of why we went into this profession in the first place. When a child gives up the money that he has earned all year to a family who lost their home to a fire-we remember. When a student asks if the stars in the sky are pointy like the ones we draw-we remember. When we spot a child praying over a dead baby bird by the bike racks-we remember. When a child scratches an itch and says, “It inches,”-we remember. When a child thinks an autobiography is a story about cars-we remember. When a child says, “Mrs. Killian, you could probably teach school. You seem smart enough.”-we remember. How grateful I am that I get to come to school every day with children who help me remember! It's time for the BUY ONE GET ONE FREE book fair! The fair will be held before school, during lunch, and after school from April 16 to April 20. A special Family Night "Paw"rty will be held on Thursday, April 19, from 5 - 8 p.m. in conjunction with the school Art Show. PLEASE volunteer to help with the book fair. Every volunteer gets a gift card to spend at the fair. You DO NOT have to be a member of the PTA to volunteer! OUR SCHOOL CARNIVAL FUNDRAISER IS MONDAY April 30th! Discount Tickets are available for purchase this week, April 23 – April 27 in the front office. For every 10 tickets purchased this week, you will receive 2 free tickets. That’s $5 for 12 tickets! On the day of the Carnival tickets will only be available for purchase at the Carnival . They will be $5 for 10 tickets. EVERY STUDENT WILL RECEIVE ONE FREE TICKET from their teacher to use towards any food or activity! There will be a silent auction for the awesome themed baskets that have been donated and carefully prepared by each class, as well as other great items. There will also be drawings for grand prizes.........................................................! This year your friends and family from out of town can participate by donating money to our cause online! To donate online simply go to the following link - www.RiverviewRamsPTA.blogspot.com. For every dollar donated online the donor can select a student who will have an extra ticket placed in the bike raffle. So if grandma donates $20, her grandchild has 20 more chances to win the bike!!! It is required that all participants of the Carnival activities complete a waiver. Waivers will be sent home with each student, please complete the waiver and return it to your child's teacher or the office. -OR- you can go online to fill out a waiver. 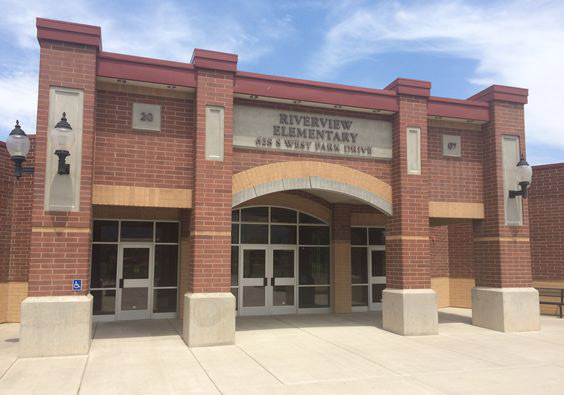 WE ARE PREPARING FOR A LOT OF FUN AND LOOK FORWARD TO SEEING YOU AT THE RIVERVIEW CARNIVAL FUNDRAISER! Teacher requests will be open from Monday, April 30th to Friday, May 4th. Forms will be available in the front office during this week only.